Succulents are a fun one to craft because there are so many different varieties. The possibilities for creativity really are endless! So to help you along your creative journey, we designed a new frosted paper succulents kit. 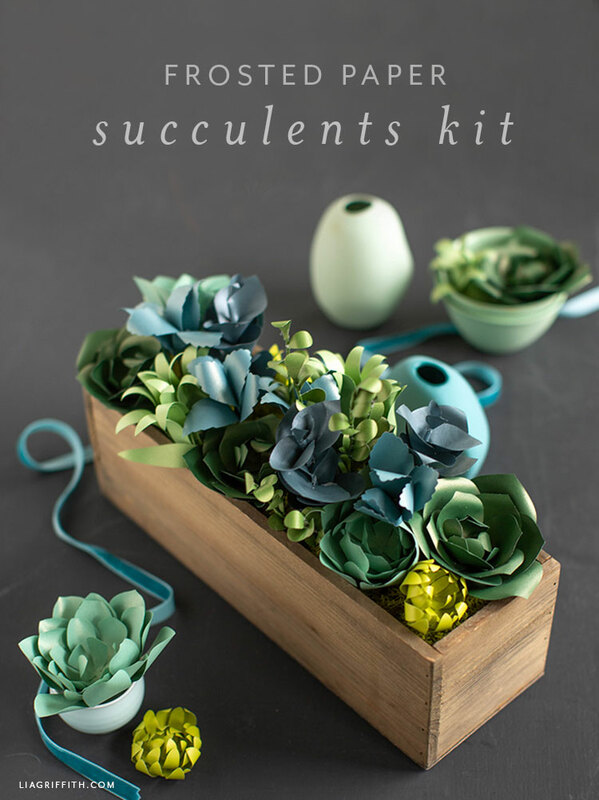 The kit is just $6.99 and has all of the paper pieces you need to craft 26 succulents! Ready to start crafting? 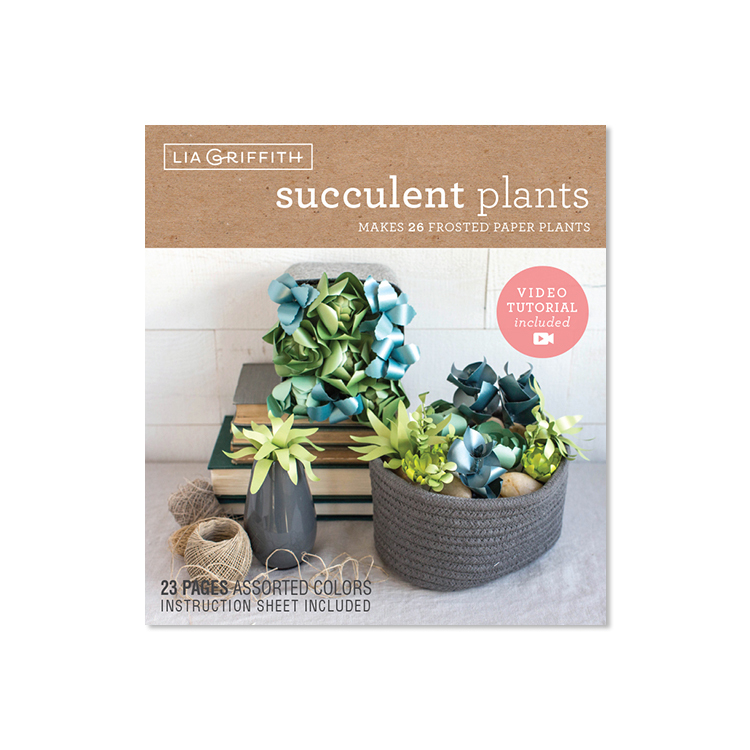 You can find our new paper succulents kit in our online craft shop. They’re also available on Amazon and Amazon UK. Frosted paper has a bit of shine to it. This adds some depth and dimension to your plants, making them look more realistic. Inside the kit, you’ll find 23 die-cut sheets of frosted paper with all of the pieces ready for you to punch out and use. Along with the paper you need to make these succulents, you’ll see step-by-step instructions plus a list of tools and materials. There’s also a link to a video tutorial so you can follow along with me as you craft your succulents. 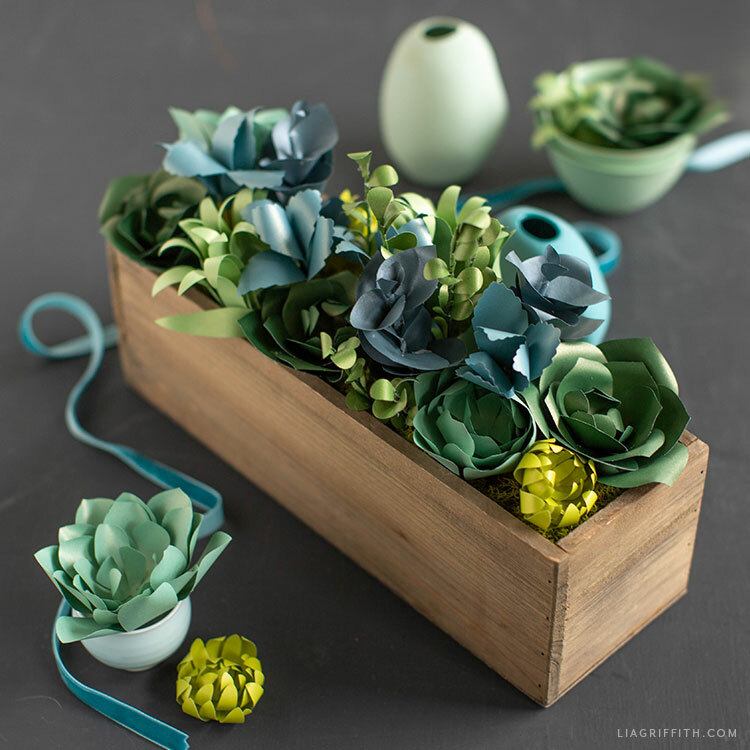 Just to give you an idea of what this means, we’re sharing the tools and materials here as well as the video tutorial for this frosted paper succulents kit. If you need some ideas for what you can do with your succulents once you’ve made them, make sure to watch our video on how to arrange paper succulents. We have used our paper succulents to create some gorgeous wall art, a wreath, wedding favors, and much more! Another thing we like to do is pair our succulents with other plants. For example, you could combine some of these frosted paper succulents with these frosted paper air plants for a fun arrangement. The choice is yours! 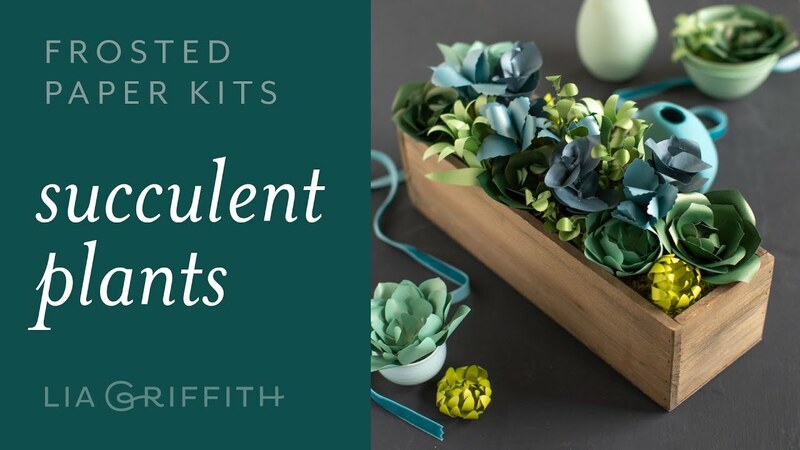 Once you have your frosted paper succulents kit in front of you, and whatever you need from the tools & materials list above, just follow the tutorial included in the kit. Or watch the video below! When you are done crafting and arranging your succulents, share photos of your finished project with us using the hashtag #MadeWithLia on Facebook or Instagram. If you love succulents, make sure to browse all of our succulents on the site! 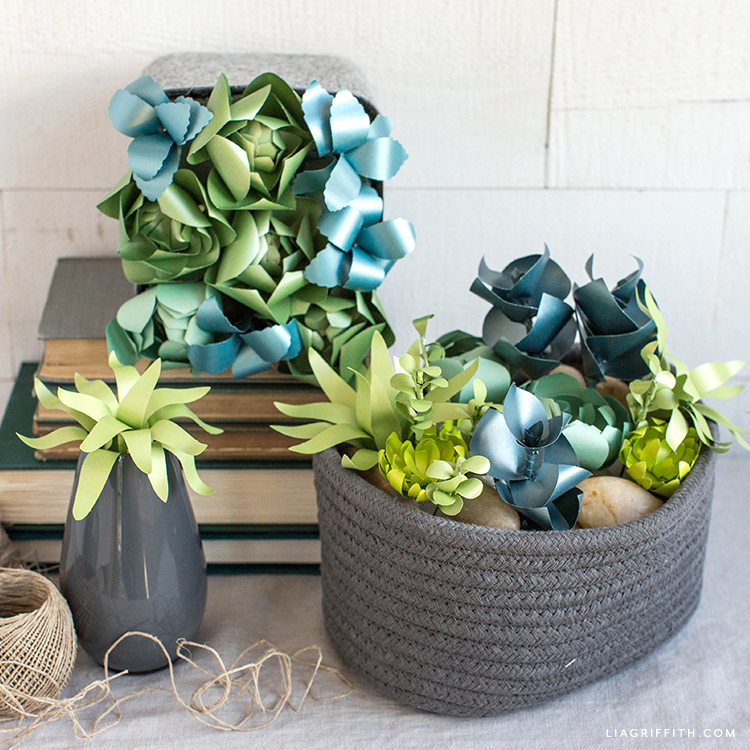 We also have a variety of paper plants that you can make.